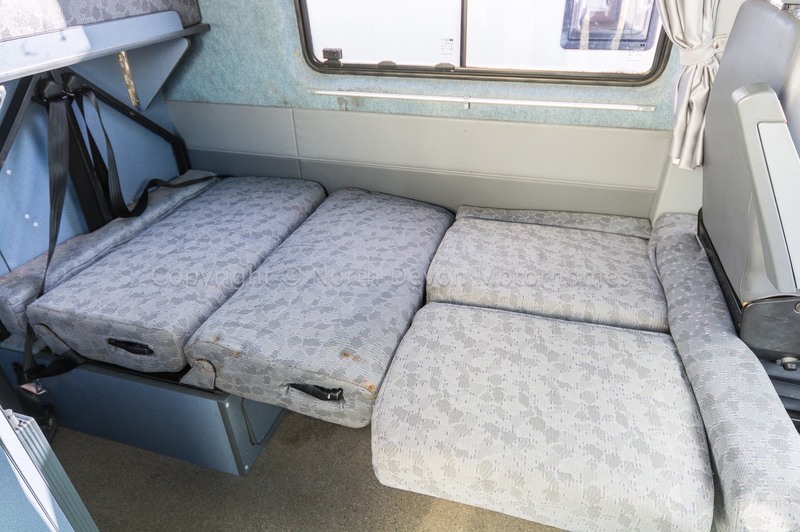 Taken in Part Exchange. 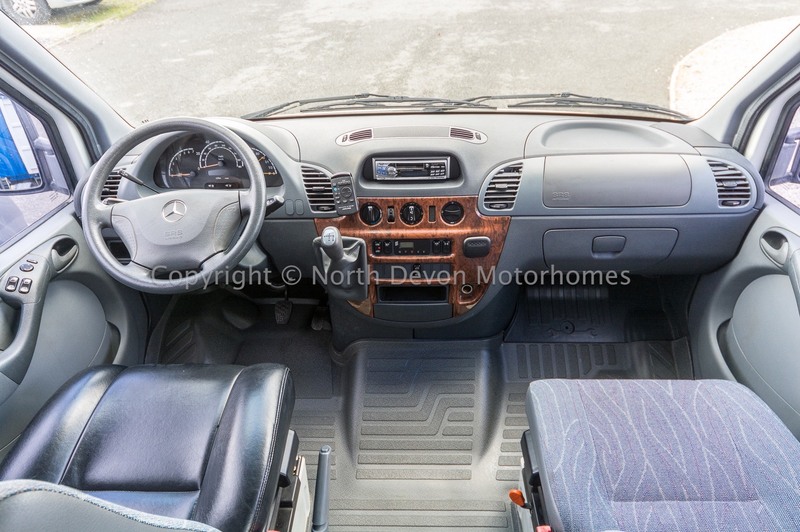 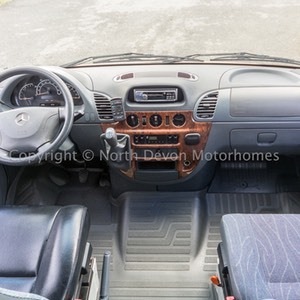 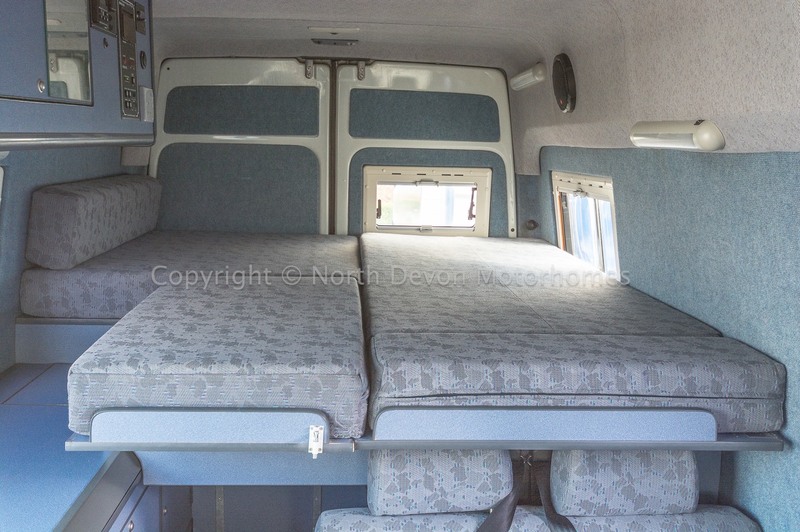 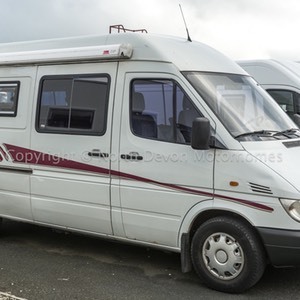 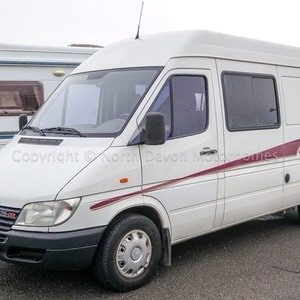 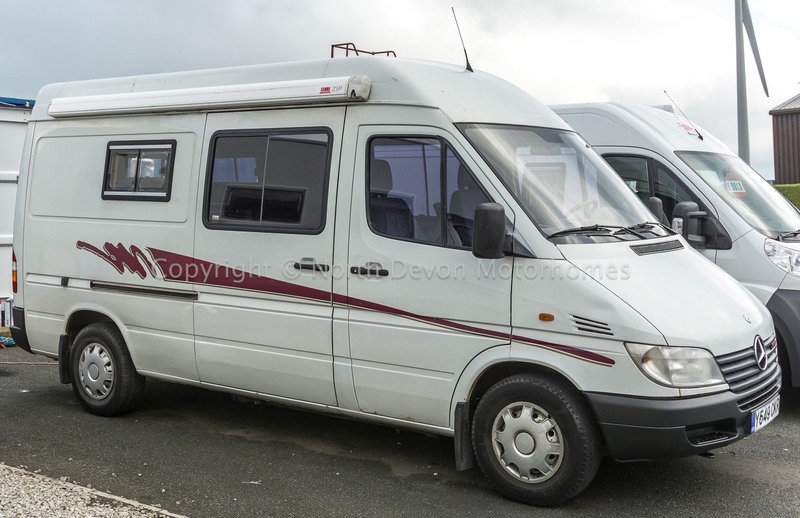 2.7 ‘Auto’ , Left Hand Drive, Nicely converted van from new, Low Mileage under 80,000 miles. 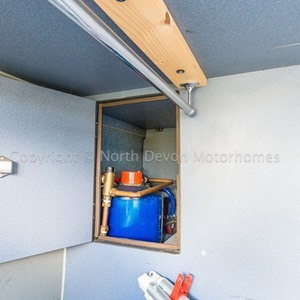 Sold as seen with Gas Safety Check. 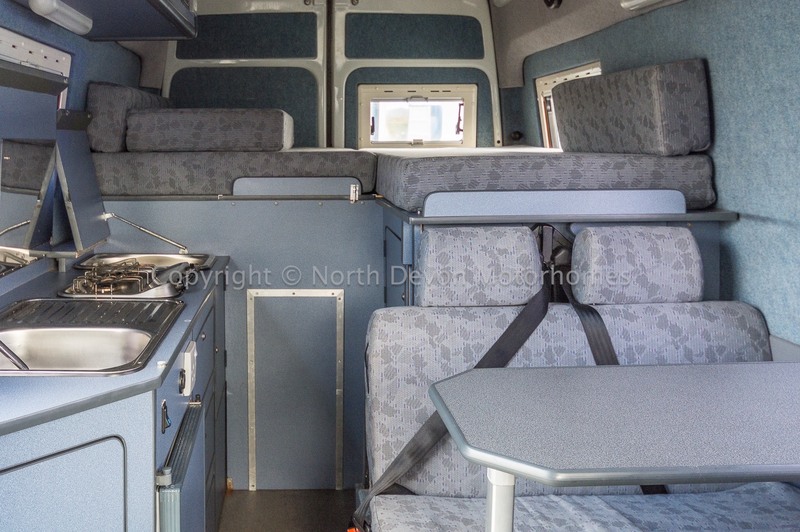 Front Lounge, Centre Side Kitchen and Rear Bed. 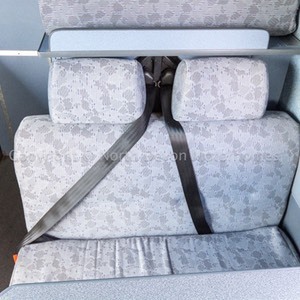 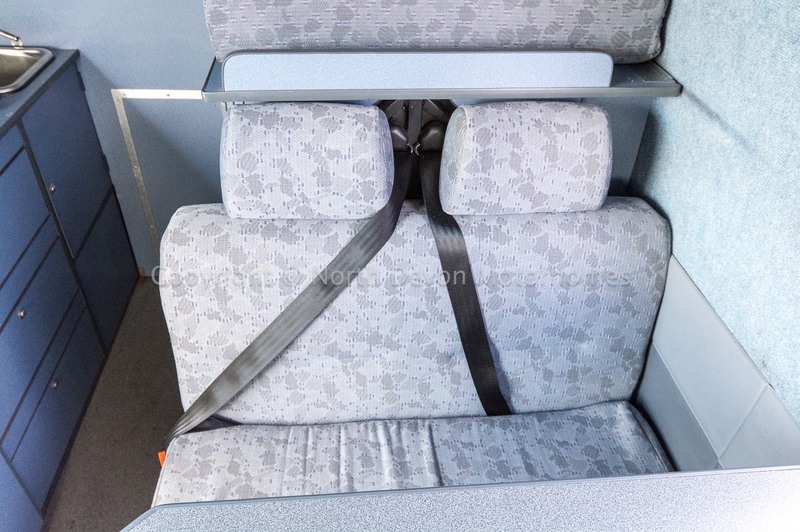 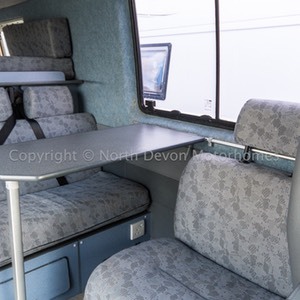 Forward facing bench seat with two 3 point belts, side facing single seat, table. 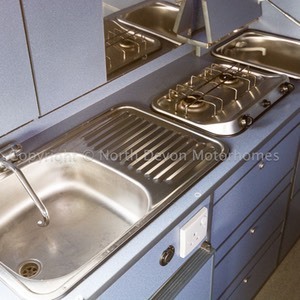 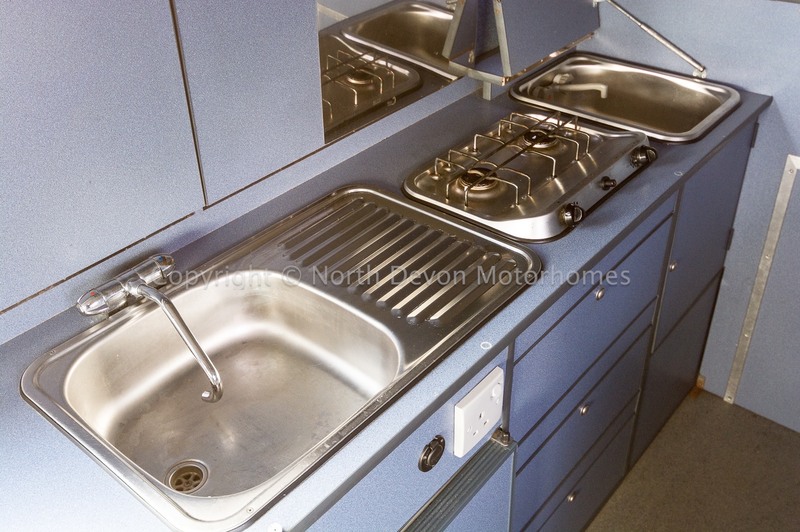 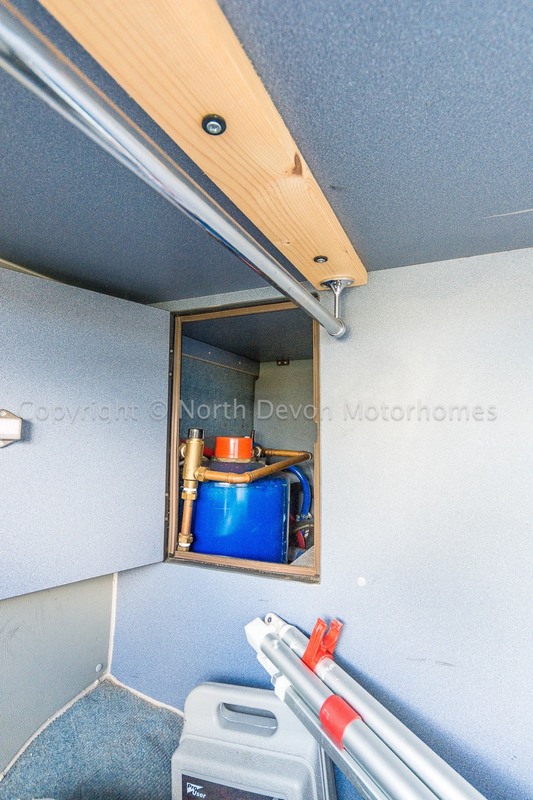 Two burner gas hob, Sink and drainer, second separate sink, fridge and ample storage. 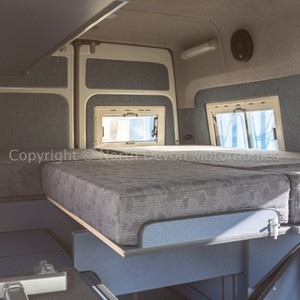 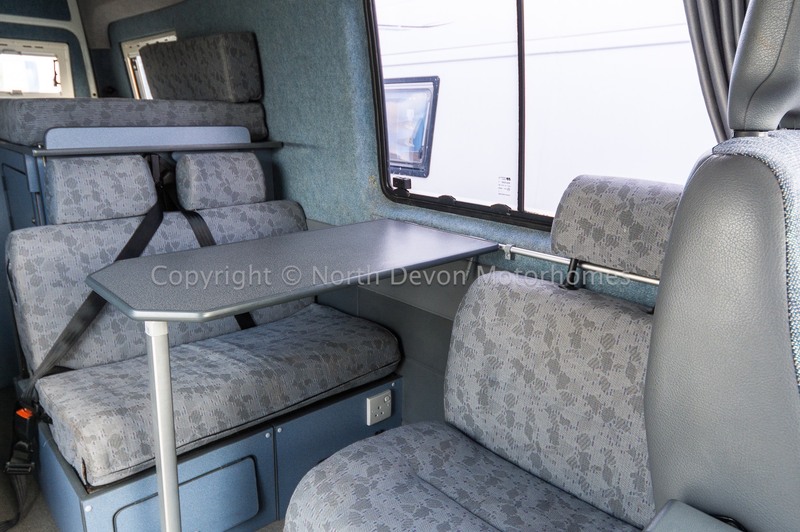 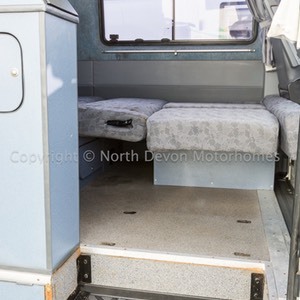 Large rear bed that extends over rear of kitchen area to give more sleeping space. 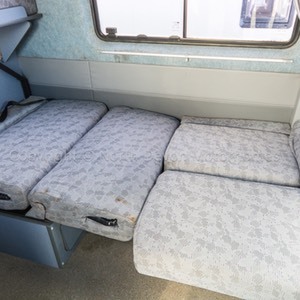 Two at rear on double bed and lounge area can covert into small double. 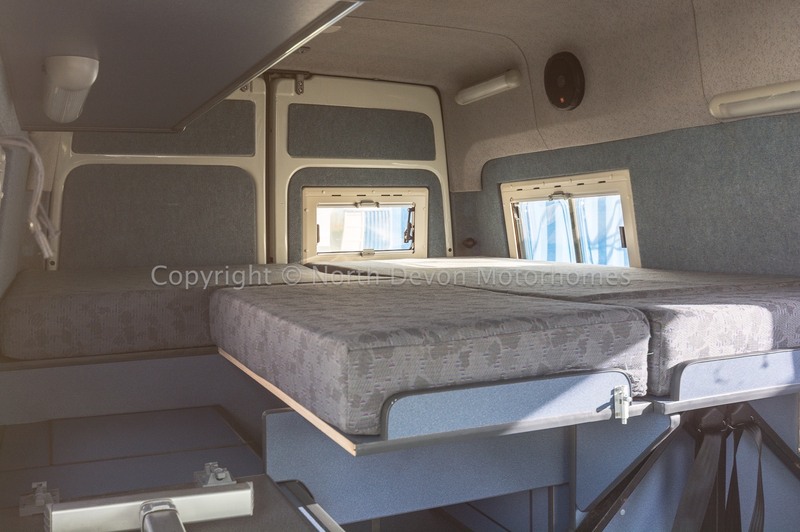 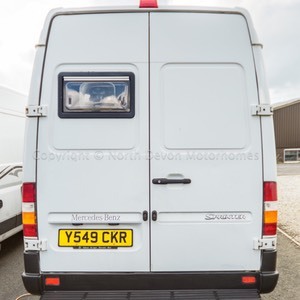 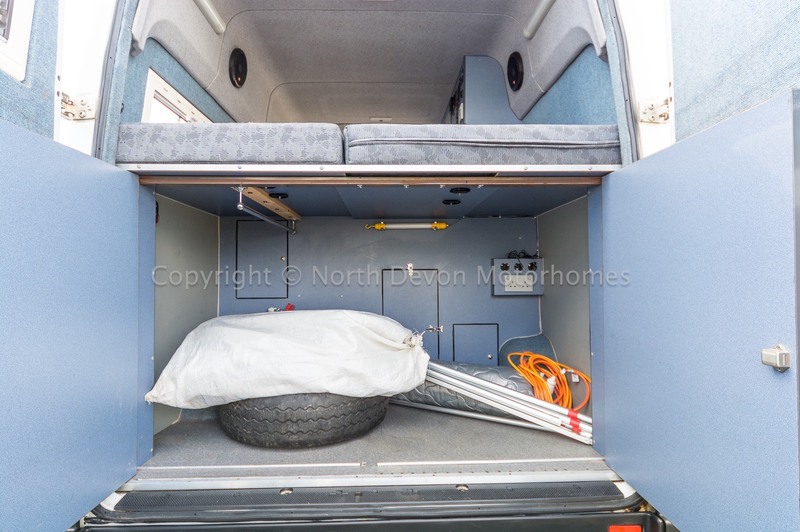 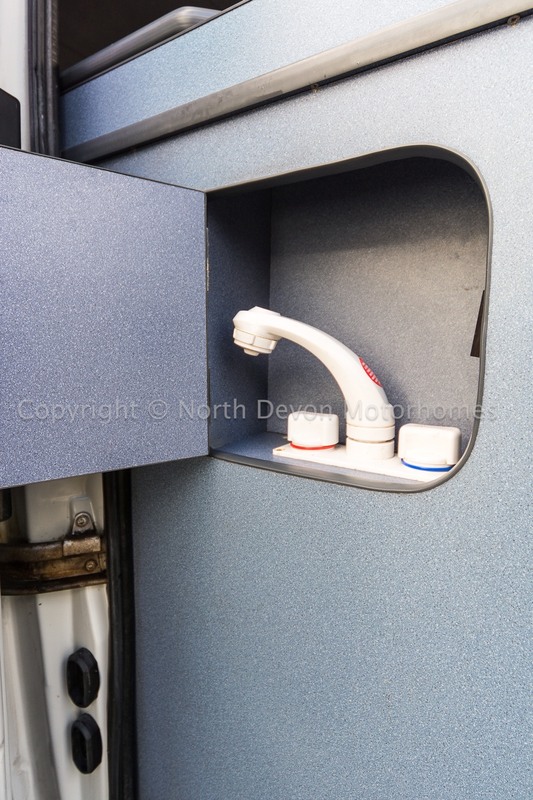 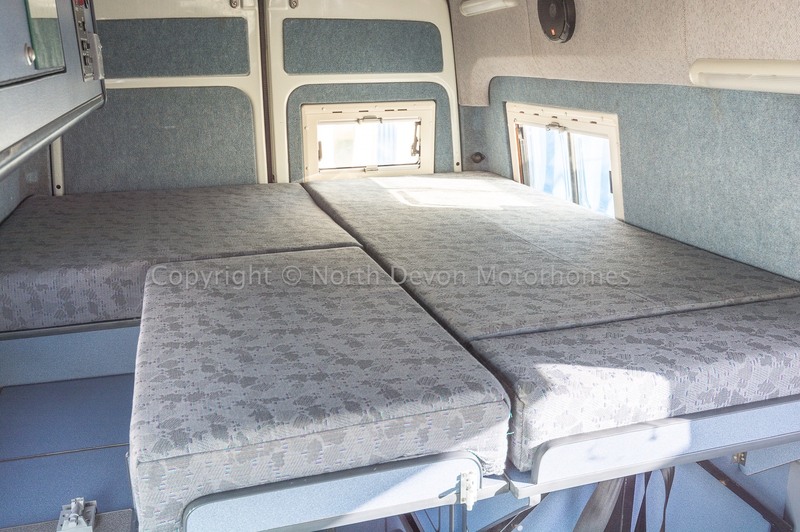 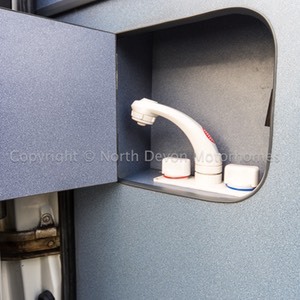 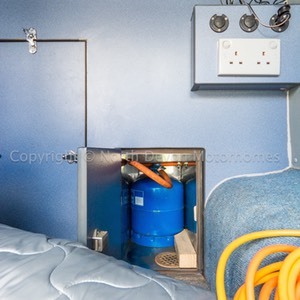 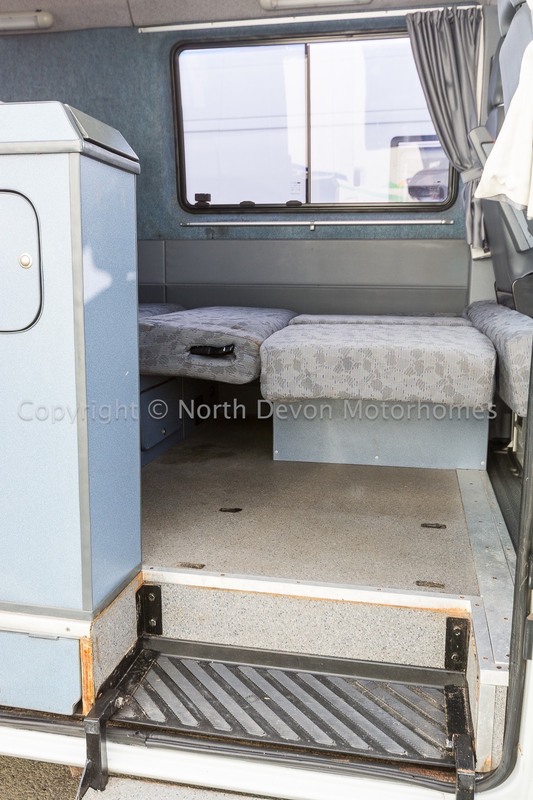 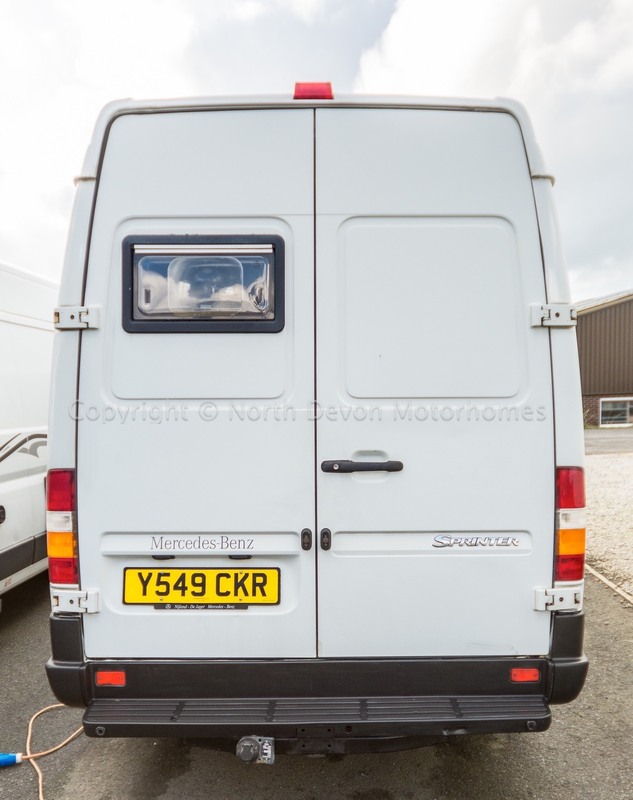 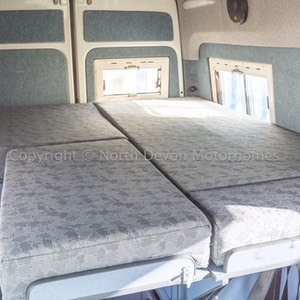 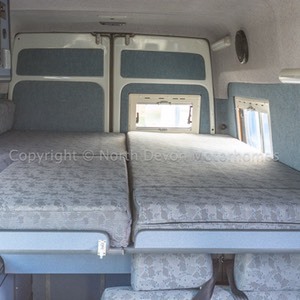 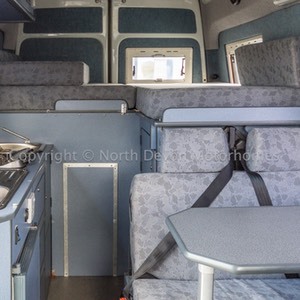 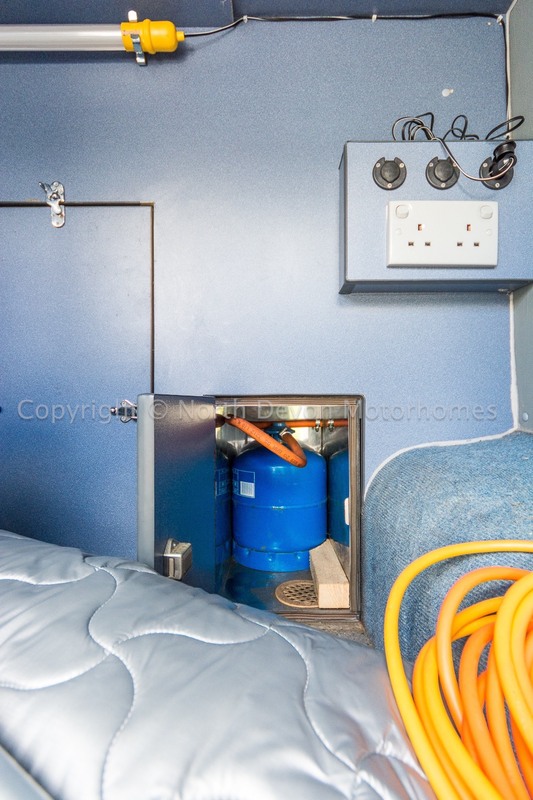 Plenty of lockers and large storage area under the rear bed which is accessible either from within the van or through rear doors. 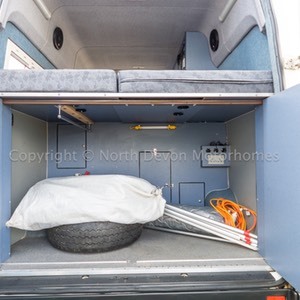 Gas bottle, Hook up lead, Silver screens, External shower point, Cd/radio with loadable cd cassette, Awning. 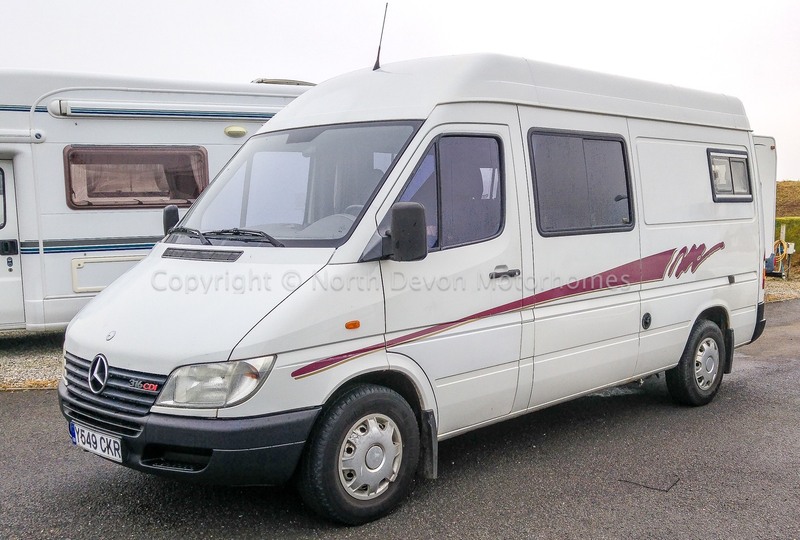 Price: £10,995 Sensible offers and part exchange considered.